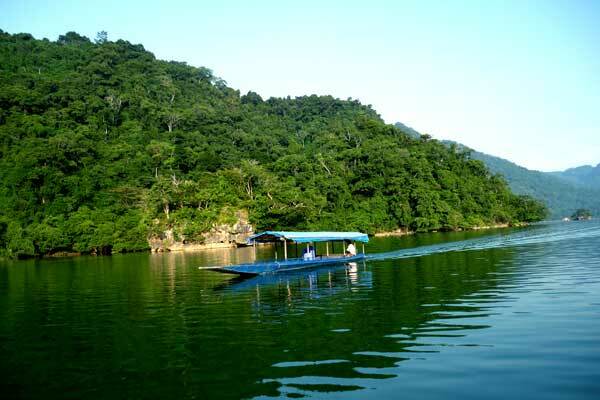 Ba Be lake is considered as one of the 16 largest and most beautiful freshwater lakes in the world, with beautiful nature, cool and fresh air. Nearby, you also can explore the primitive forest with extremely biodiversity.This is a perfect place to escape from the crowded city. 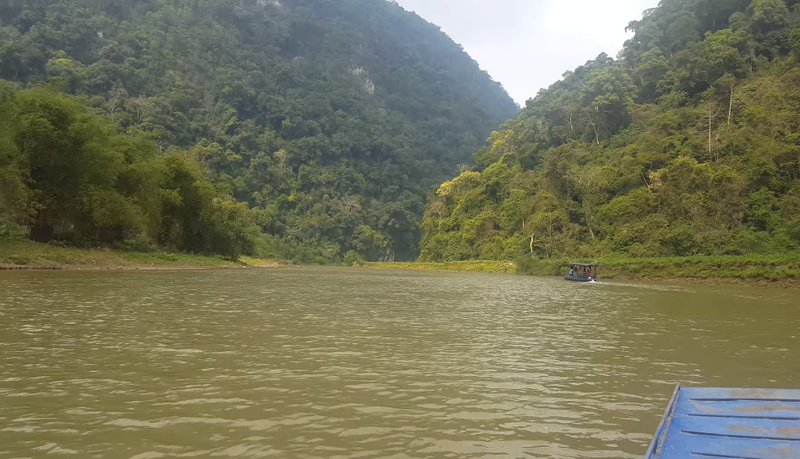 Ba Be National Park: Located 250 km north of Hanoi, in Ba Be district, Bac Kan province, Ba Be National Park is an eco-tourism site with exotic scenery and biodiversity. In 2003, Ba Be was recognized as the ASEAN Heritage Garden. Previously, this was a scenic and historic area. This is an area that clearly reflects the history of the crust forming period. On geomorphology, this is a large ancient limestone, with a very unique tectonic feature dating back 450 million years. The interesting thing is that in the process of geological changes, limestone has turned into marble. According to the geologists, the phenomenon that limestone became a marble is extremely unique and rare. In the middle of limestone mountain, there is a wonderful large lake. The bottom of the lake has a clay layer up to 200 meters thick, the clay layer itself does not let the water drain away and the lake was formed. The panorama of the lake looks likea watercolor painting that appealed to the visitors. Puong grotto is the most beautiful grotto in Ba Be Lake. The grotto has a length of 300 m, the height of over 30 m. The cave is pretty high for boat to move into, the stalactites in the grotto create a lot of interesting shapes. In addition, there are dozens of thousands of bats living in the cave. Dau Dang waterfall: The Dau Dang river is blocked by hundreds of large rocks that splits it into many small streams, water falling down from the high forms a majestic waterfallcallled Dau Dang. The waterfall is more than 1,000 m long with three steps, each with a difference of 3 to 4 m in length, created a wild and romantic sight for Ba Be lake. Hua Ma grottois also known as "Hang Dong," located about 10 km south of Ba Be National Park. This is an attractive large cave with a lot of mysterious fairy tales that you can only hear from the local people. Fairy pond: From Ba Be Lake, take another about 100m you will get Fairy Pond (Ao Tiên in Vietnamese). About 3.000m2 wide, it is surrounded by limestone mountain and primitive forestwith cool blue water. Fairy Pond has many kinds of fish such as carp, tilapia,... You can watch the footprints on the rock and hear the legendary story about the hunter and seven fairies. Beside, you can go to visit the night markets and buy souvenirs or try some delicious local foods. Particularly, if you come here during the January Lunar year or holiday season you'll have a great option to immerse yourself in theculture of Ba Be lake.